An Arizona-based firm bought an entire town in the Mojave Desert in the hopes it will become a tourist attraction, but the county might not let that happen. Back in August, American Green announced it was purchasing the entire town of Nipton, California, a hamlet in the Mojave Desert, which has a population of about 18 people. Now, with escrow having closed, the Arizona-based firm that is developing several canna-businesses officially owns the town. American Green is best known for its vending machine technology, which can verify IDs, and make it easy to purchase medical weed. Along with the vending machine, and Nipton, the company is also building a cannabis cultivation facility in Arizona. But, until they come to an arrangement with the county, the company can’t sell cannabis products in Nipton. County spokesperson David Wert confirmed Monday that commercial cannabis activity – cultivation, sales of marijuana products at dispensaries, use of marijuana delivery services and the consumption of CBD – is not allowed on unincorporated San Bernardino County land. The county hasn’t discussed changing its rules, because no residents have asked. Nipton could bypass county rules by incorporating. But state incorporation guidelines require would-be towns to prove the viability of their tax bases. Nipton, with fewer than 20 residents, “would not come close,” Wert said. 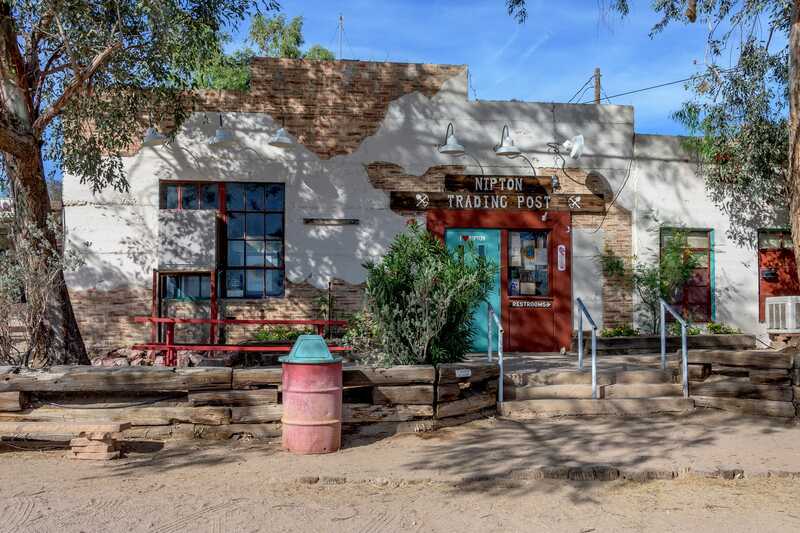 Consuming cannabis will still be part of Nipton’s pitch to tourists. Visitors just won’t be able to buy it there. If it comes to fruition, American Green will make Nipton into a boutique cannabis destination, where people can take mineral baths in CBD water, dine on cannabis-infused food in the cafe, and smoke on the hotel porch without fear of arrest.